A pairing never before seen on the Largs-Cumbrae route, I understand! 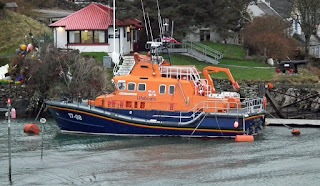 Loch Ranza crosses Loch Fyne on service 08 February 2013. An (as yet) unidentified Trafalgar Class submarine transits the Hunterston Channel during navigation training 03 February 2013. She certainly caused some consternation amongst the dinghy racers in the area! 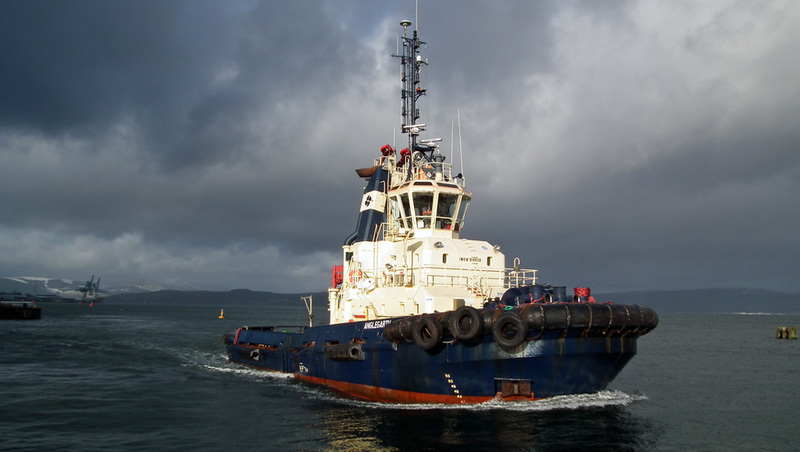 Svitzer tug Anglegarth returning to base in JWD 27 January 2013. Container vessel John Rickmers loading at GOT 27 January 2013. Bulk carrier Kyla Fortune, escorted by Ayton Cross, heading for Hunterston 03 February 2013. 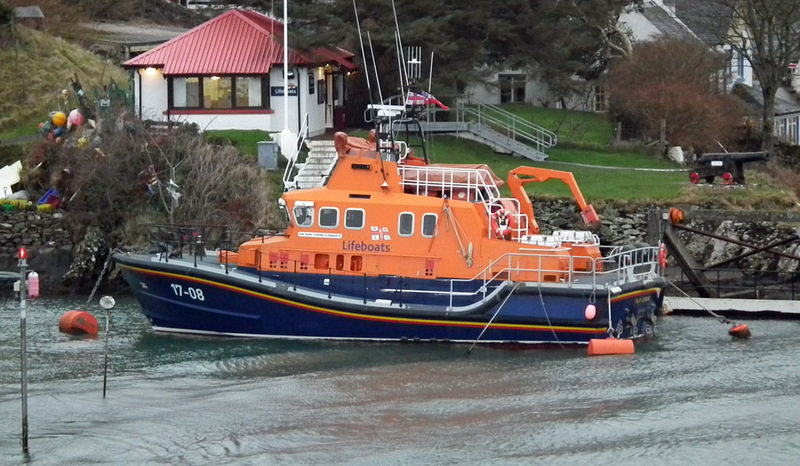 Islay RNLB Helmut Schroder of Dunlossit II (17-08) moored off Port Askaig, overlooked by Dunlossit Castle, 29 January 2013.